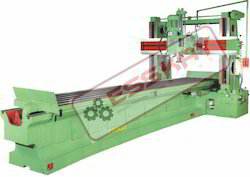 Clients can avail a top-notch array of Plano Miller Machine at market leading prices. These Plano Millers are manufactured using high grade raw material and therefore are inclusive of features such as corrosion resistance, high tensile strength and long service life. Further, our quality controllers stringently check our range and thus, it is in compliance with the international norms and guidelines. Looking for Plano Miller Machine ?